VR demos that took place during the IDEABOOST Cohort 7 first weekend intensive. 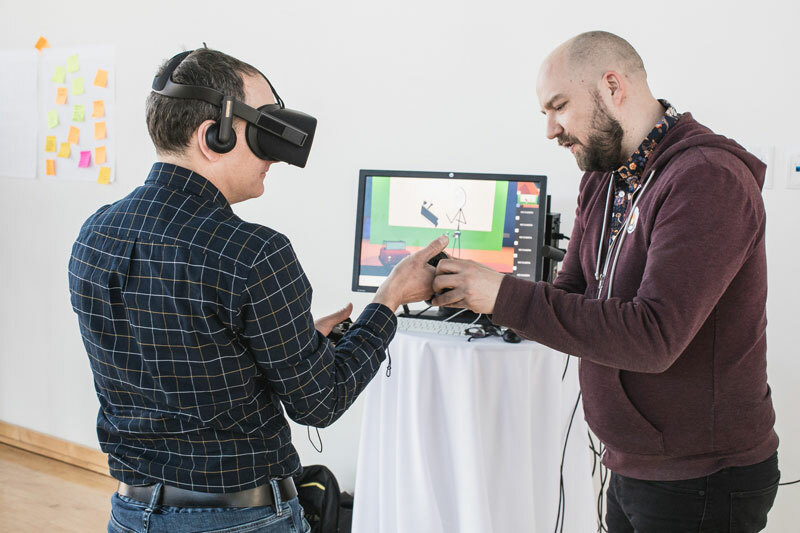 The Canadian Film Centre’s Media Lab (CFC Media Lab) is bringing nine IDEABOOST-Network Connect companies to upcoming premier industry event, VRTO, the Virtual and Augmented Reality World Conference and Expo 2018. Running this Friday, June 16 through Monday, June 18 in Toronto, VRTO draws more than 80 speakers, 50 exhibitors, and key players on all things AR, VR and immersive media. U-Dimensions: Empowering users to create and customize their own 3D-printed game merchandise.